Non-Members | CEMA :: Strong. Active. United. Start enjoying the benefits of union membership. Together we all make up the union. We elect representatives to be on the Executive Board (e-board) and represent the workers views. Representatives negotiate our contract which includes: wages, step increases, health care coverage, pension coverage, Cost of Living Adjustments (COLA), vacation time, holiday options and more. In addition, we advocate for a safe and respectful work environment. To join and become a member, complete our CEMA Membership Application. There is a big difference in becoming a member. 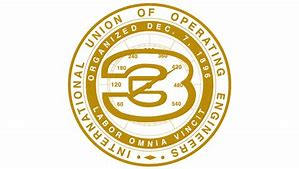 Being a CEMA member entitles you to voting rights during all union elections, the right to bring your individual point of view to the membership, the right to participate in union activities, surveys, functions and to union benefits. We urge you to actively participate as a CEMA member, sign and turn in the CEMA Membership Application. Your participation as a CEMA member makes a difference. Together, we are the union and together we strengthen our voice. To be able to join CEMA, you must first be employed by the County of Santa Clara or the Santa Clara Superior Court. This excludes Extra Help and Intermittent Worker employees who are considered temporary employees. You may then complete our CEMA Membership Application. After your completed form is received and processed you will notified and all your benefits of membership begin. If you have specific questions about membership in CEMA, a list of the appropriate CEMA Liaisons is available here. Congratulations on making the right choice to become a member of YOUR union.